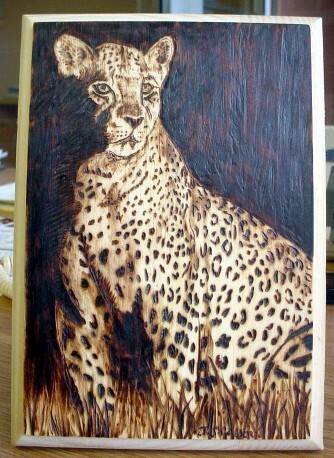 Pyrography is the art of wood burning. Each piece is burned by hand and is sealed with a UV protectant. Coloured works are done with oils. Please Visit my Gallery to see some of my other peices I've done. Ask about myTrophy Packages for your next show.